From gadgets to Gameboys, cars to computers, boys love their toys. As a result, we’ve compiled a list of the coolest watches for teenage boys. 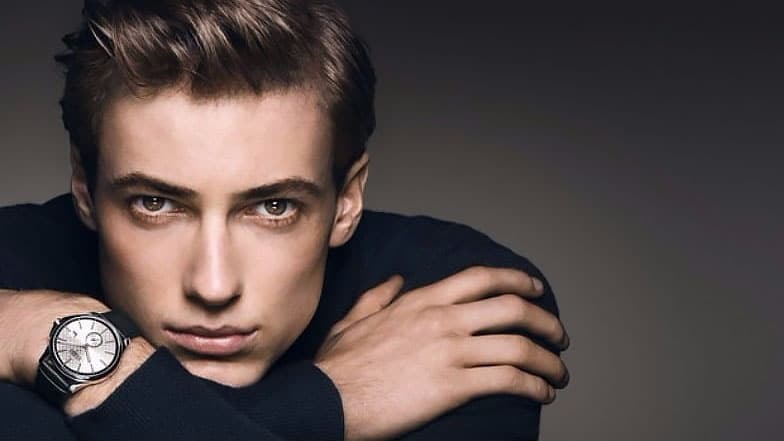 To determine the best of the best, we focused on precision, durability, added features, and ultimately, the ability to make the wearer the envy of all his friends. 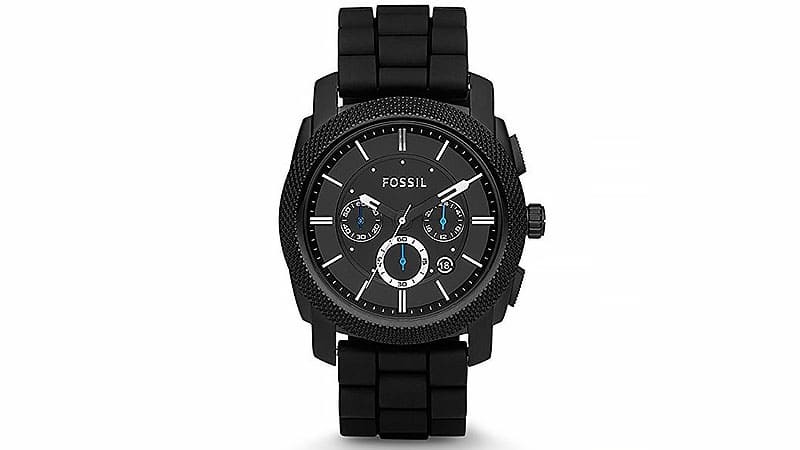 When it comes to creating bold, eye-catching watches, Fossil stands out from the crowd. Their Men’s FS4487 Machine Chronograph with a black stainless steel case is no exception. With a no-nonsense black dial and black silicone strap, this chronograph watch makes a statement. Steel index hour markers and black toned, luminous hands sit behind a hardened mineral crystal dial window. Additionally, it features a date display and three subdials. This precise and resilient watch harnesses a quartz movement and is water resistant to 50m. For a watch that is minimalistic and modern, Calvin Klein’s K2V214D1 model demonstrates why simplicity will never go out of fashion. Making a bold statement on the wrist, it incorporates a smooth black dial, black PVD coated stainless steel case, and a comfortable black rubber band. Green luminescent indices mark the hours, while the seconds tick effortlessly by on the black hands with luminescent accents. With water resistance to 50m and a Swiss quartz movement, this timepiece is refined, precise and suitable for any occasion. 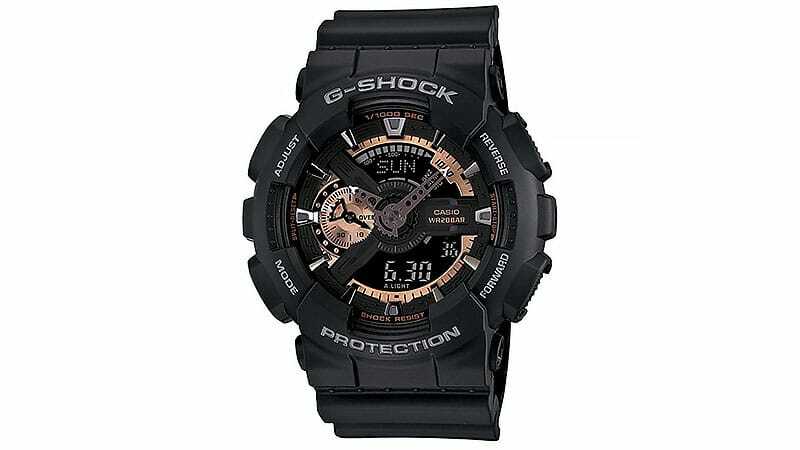 For boys seeking a watch built for endurance, Casio’s GA110RG-1A G-Shock will not disappoint. 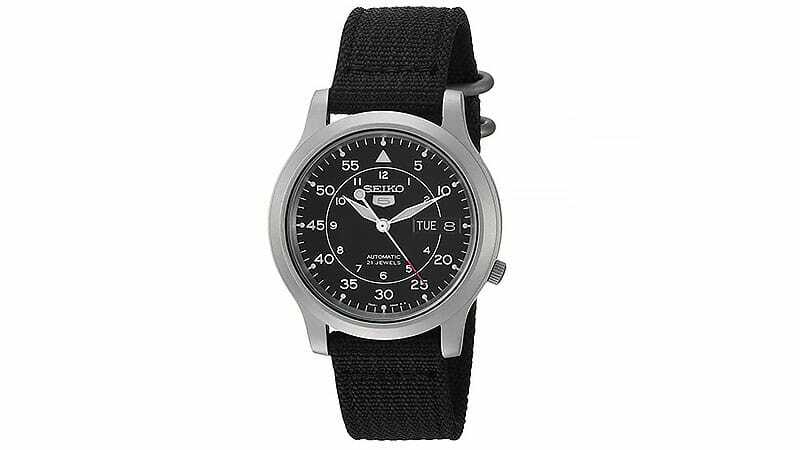 As the name suggests, this sports watch is shock-resistant and features a durable black resin band. This highly versatile timepiece is not only destined for adventures on dry land, however, as its water resistance to 200m makes it perfect for ocean lovers and explorers. Powered by a Japanese quartz movement, this chronographic watch excels in precision. An industrial black and copper toned dial incorporates an LED light, timer and stopwatch. Finally, for all the travellers and jet-setters, this Casio G-Shock displays world time zones of 48 different cities and UTC. 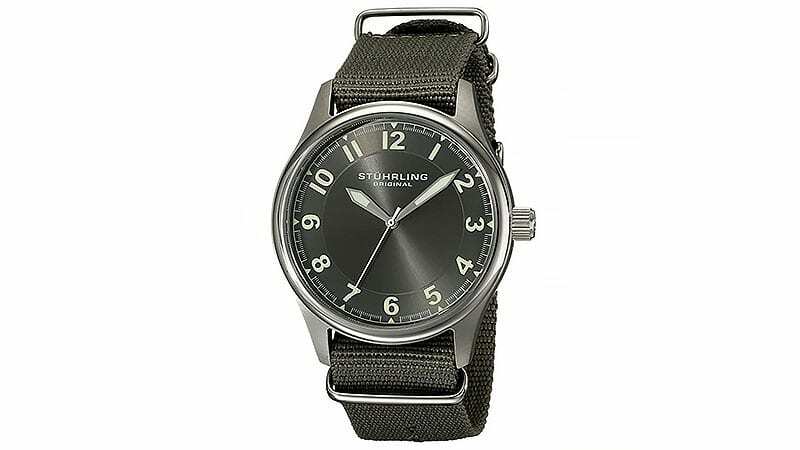 Don’t let the subtle colours of Stuhrling’s Original Men’s 741.SET02 Aviator watch fool you. Far from blending in, this stylish watch is designed to capture attention. Enclosed by a sleek, 43mm stainless steel case, it features a round grey dial with prominent sword-shaped hands and large Arabic numbers. To increase versatility, the canvas band may be deftly switched from grey to black and accordingly, day to night. Precise and resilient, this timepiece uses a Japanese quartz movement and is water-resistant to 50m. 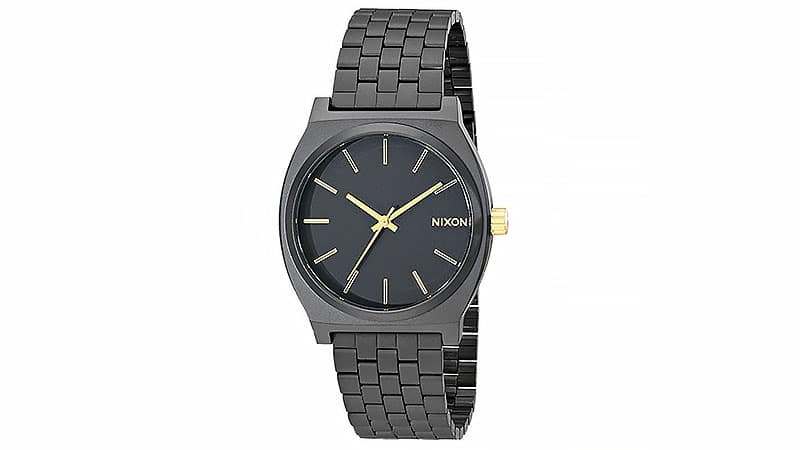 For a classic, minimalist timepiece, look no further than Nixon’s matte black Time Teller watch. Designed for both work and play, it features a black stainless steel case and custom moulded polyurethane band. Gold tone accents in the form of stick markers, sweeping hands, and a triple gasket hand combine to elevate the sophistication of this timepiece. Although the Nixon Time Teller will make any boy the envy of his friends, its charm does not end there. With water resistance to 100m, a hardened mineral crystal dial, and a Japanese quartz movement, this watch is reliable, durable, and a must-have accessory. 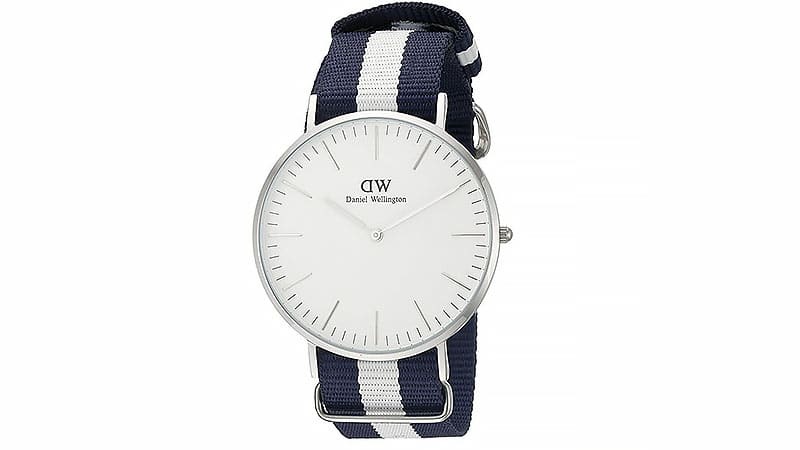 Polished stainless steel shines against a nautical, navy and white nylon band in Daniel Wellington’s effortlessly cool 0204DW Glasgow watch. Minimalist stainless steel stick markers and elegant sweeping hands complement this timepiece’s silver-tone 40mm case. For a crisp finish, a prominent white face sits behind a mineral dial window. This watch is the ideal fit for boy’s seeking a refined, casual watch. It uses a quartz movement and is water-resistant to 30m. 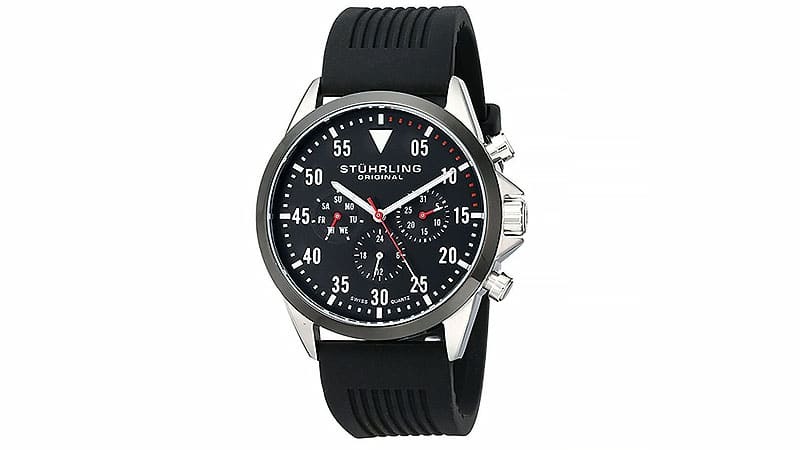 Elevating the wearer from a boy to a man, the Sturhling Original Men’s 600.03 Aviator is both sleek and sophisticated. Polished stainless steel forms the watch’s round case and creates a shining contrast against its black high-grade silicon rubber band and black dial. The simple, yet classic colour scheme ensures it is highly versatile and ready for any occasion. Harnessing a Swiss quartz movement, it also features multi-function day, date, and 24-hour sub dials. 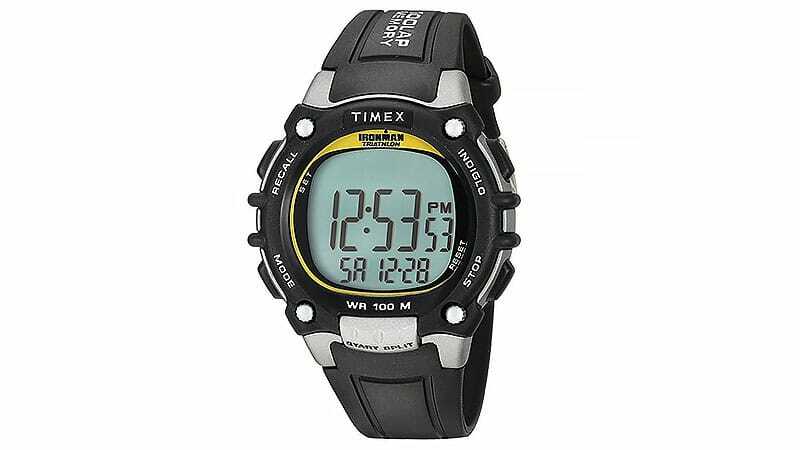 Designed for athletes, Timex’s Men’s Ironman Classic 100 is ideal for the runners, swimmers, and cyclists of the world. Not only does it feature a 100-hour chronograph with lap and split times, but it also enables the wearer to review their best lap, average lap, and total time with a dated training log. Despite housing all of these abilities, this sporty watch will not slow you down. Built for speed, it is incredibly lightweight and is sealed for water resistance to 100m. With a black resin band, grey acrylic dial, and exposed screws, this masculine watch is destined for the outdoors. Additionally, it features a quartz movement and digital display, as well as an Indiglo night-light for boys who like to work out after dark. For tech-savvy teens, the designers at Samsung have created the ultimate, must-have smartwatch. 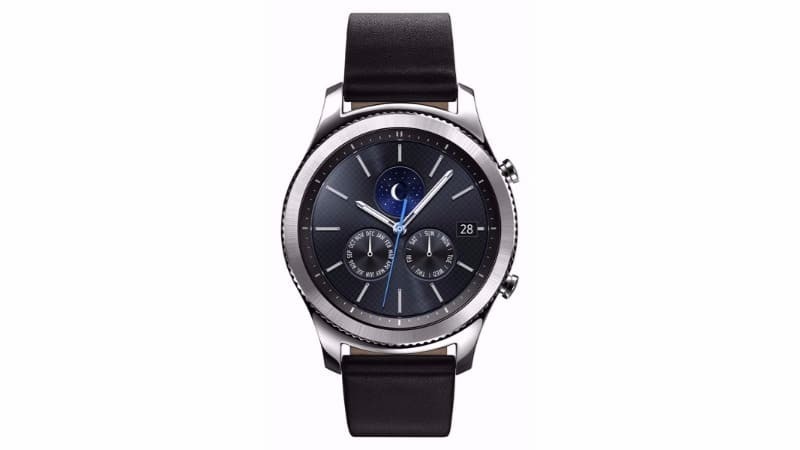 The Gear S3 Classic offers the latest in digital technology, allowing the wearer to text, answer calls and receive notifications through Bluetooth connectivity. Compatible with Android smartphones, it features a rotating bezel to provide easy access to apps, alerts, texts, and more. For boys who love an adventure, the Gear S3 Classic also provides a built-in GPS and military grade durability with resistance to water, dust and extreme temperatures. 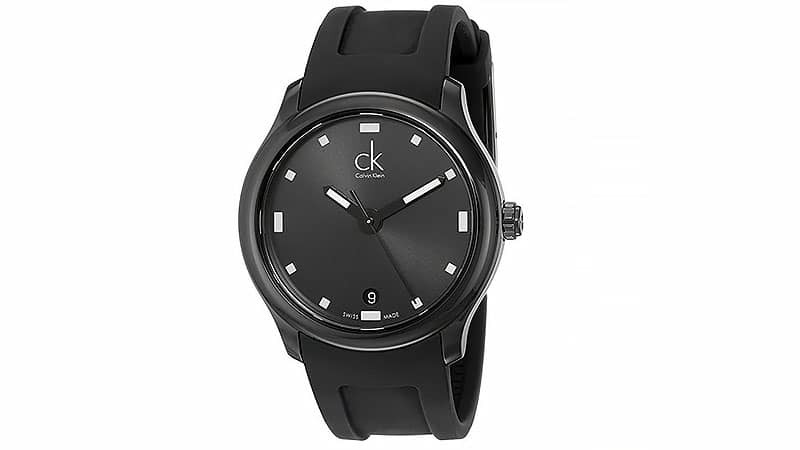 With a silver case, bold black dial and comfortable black strap, this watch is suitable for any occasion. Silver stick markers, three subdials, and luminous sweeping hands also feature on the watch’s sleek dial. Finally, for boys who are tired of carrying around clunky wallets and annoying cards, the S3 Classic eliminates this hassle. With Samsung Pay, wearers can make credit card payments with a simple swipe of their cool new watch. With sword-shaped stainless steel hands and an exhibition case back, young watch lovers are sure to admire the finer details within and upon this unique timepiece. A precise 21-jewel automatic movement ensures precision in this watch, which is powered by the kinetic movement of the wearer. Additionally, luminosity allows it to be worn from day to night. Sleek and masculine, it features a 37mm stainless steel case, which encloses a scratch-resistant Hardlex mineral crystal dial window. Its bold black dial contrasts against the silver toned Arabic numeral markers, sweeping hands, and date display. The ultimate accessory, this watch is precise, versatile, and comfortable. A black canvas band makes this the watch that boys won’t ever want to take off.